Summer is my favorite season and is my favorite time to travel! The weather is great and everyone deserves a break in the middle of the year. If you're planning for a weekend or weeklong getaway, make sure you pack my Summer Travel Essentials! First, sunscreen! You'll be outdoors a lot so you must protect your skin. 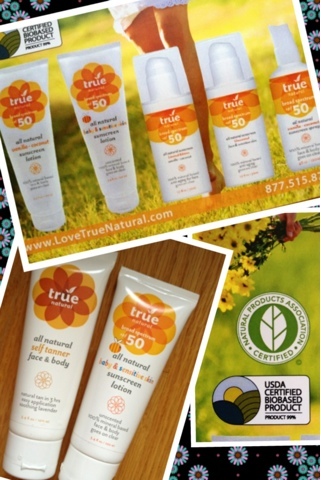 At this year's International Beauty Show, I discovered the brand True Natural. I met the founder, Uli Jacob, and was so inspired by her passion of an all natural sun protection line. She was excited to tell me that their line was now available at Whole Foods, which means these are accessible. I myself was happy to learn this natural brand had a sunscreen lotion that is 100% mineral based and boasts an SPF 50. Uli also told me that this doesn't contain titanium dioxide so you don't get the whiteish formula. The baby & sensitive lotion will definitely be in my luggage! Another intriguing product is their all natural self tanner for face & body. If you're looking for a natural, subtle glow in about 3 hours- this is your go- to product. It's moisturizing as well. Great for a last minute tan w/o baking! Thanks Uli for introducing me to these wonderful products and letting me review these for my readers! Stay tuned for more summer travel essentials!